Blogging seems like the wild west when it comes to rates for things, there are just so many variables to consider when figuring out what your ‘rate’ should be. Your site traffic, your social media following (and, more important recently, the engagement you get on social media), brands you’ve worked with before, whether people actually go on to purchase the things you talk about, etc etc etc. Because blogging is still relatively new, many bloggers keep their numbers and pricing pretty top secret, so it is so hard to nail down standards in the industry for different types of content creation, and even knowing whether to charge at all. I was chatting to another blogger this week who joined me on my mini rant about various emails that have been popping into our inboxes recently, along the lines of huge companies asking us bloggers to promote them in a very specific way; create beautiful content, launch a competition, promote across all of our channels etc, for nothing but ‘exposure’ in return. While we were flattered that such a prestigious company would want to work with us (and we may get, like, £50 worth of product from them), do they not think that we are worthy of being compensated? When I first started Fashion Mumblr, it wasn’t to make money, and it certainly wasn’t to get free things, because to be honest I didn’t even know that that was even a possibility. But now that the blog has grown and there’s every possibility that I may soon be making it into my full time career, it means, like every other job I’ve had in the past, I would seriously hope to be paid for the work that I put in. And by paid I mean actual money, not a gift card or a £20 bracelet, soz. But how much to charge? There is no magical answer or theory where you multiply your followers x your likes divided by number of tweets (although wouldn’t it be great if we could figure one out?! ), but instead it should be based around what the company is asking you to do, as well as your traffic, social following and reader engagement. As a blogger, you’re an influencer, and you do deserve compensation when a brand asks you to promote them. Sometimes a product, gift card of just being associated with a brand is enough, if you’re just starting out, or if being associated to the brand has a major benefit to you. Only you know if it’s worth the benefits you’ll get out of it. It reminds me a little of when I used to intern in the fashion industry (read all about that here), it was a competitive environment, practically every one of my peers at London College of Fashion would have given their Hermes Birkin away to get an internship in the Mulberry marketing team, and so when I was offered it, I snapped it up, even though it was unpaid. And that’s where blogging is headed too. 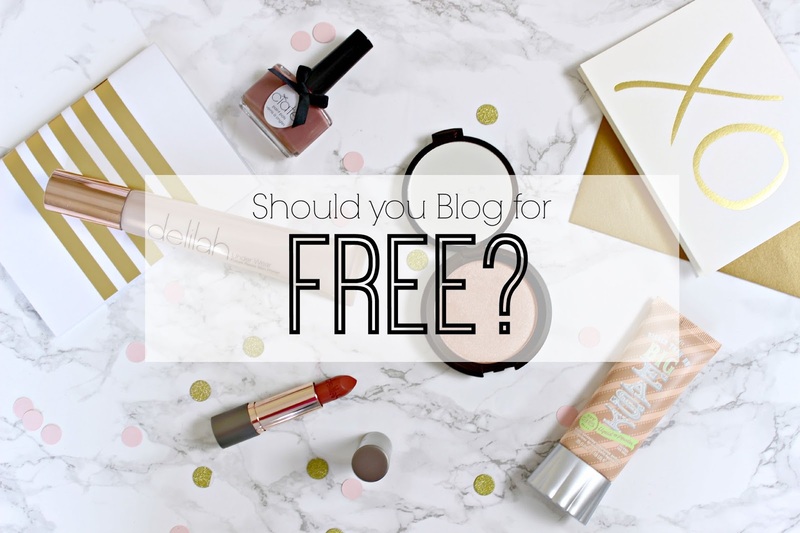 We all want to be associated with brands, we all want gorgeous content, but if we say ‘Yes’ to doing too much for free, then we are doing ourselves a dis-service, and making it ‘OK’ for brands to even ask. I’d love to know your opinions on this, tweet me @fashionmumblr and use the hashtag #knowyourworth, do you think I’m being a diva? Super demanding? Or do you think it’s right that bloggers get properly compensated for the hours of work that we put in to creating our content?